LOUISVILLE — Etkin Johnson Real Estate Partners, a full-service, privately owned commercial real estate investment and development company based in Colorado, has completed the new 109,386-square-foot FedEx distribution center at 2035 Taylor Avenue as well as a 136,610-square-foot speculative industrial/flex building at 700 Tech Court in the Colorado Technology Center (CTC) in Louisville. “The addition of FedEx to the CTC speaks volumes about the stature of companies attracted to this area,” said Ryan Good, executive vice president and partner at Etkin Johnson. 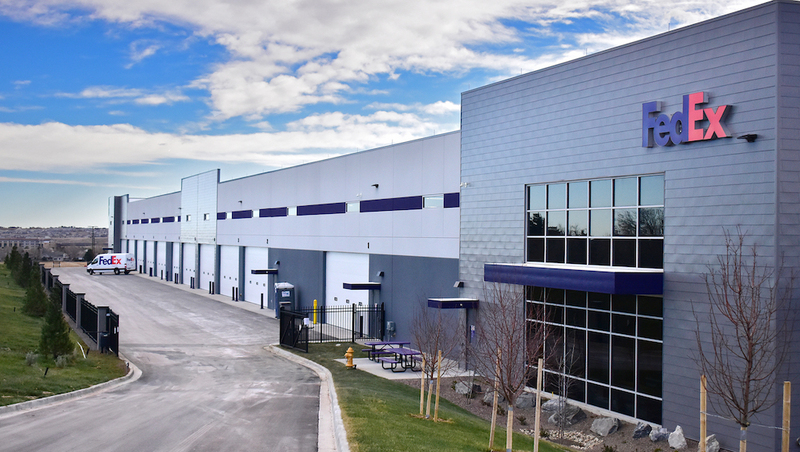 “FedEx’s build-to-suit distribution center will provide the additional space and advanced technology they need to continue delivering quality customer service. FedEx is relocating its current distribution operations from Boulder to the CTC. 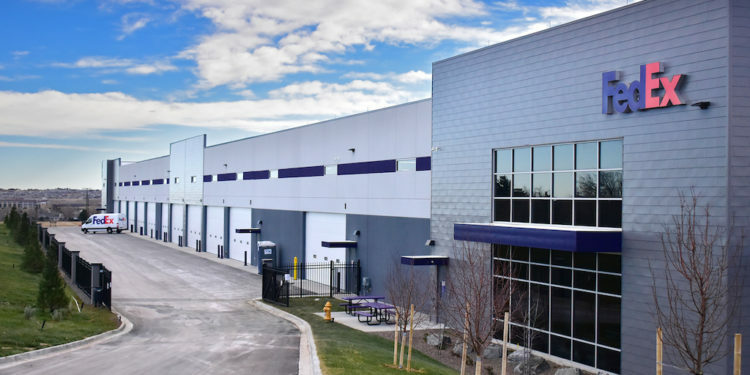 The new distribution center features state-of-the-art amenities and green building features in line with FedEx requirements, as well as greater efficiencies for FedEx’s service vans such as large drive-in doors for more efficient loading and unloading. 700 Tech Court marks the first phase of a planned three-building, 400,000-square-foot industrial/flex campus – dubbed Louisville Corporate Campus at CTC – located on a 33.12-acre parcel. The parcel was purchased by Etkin Johnson and annexed into the CTC in 2017. Designed to attract growing companies, 700 Tech Court features 24-foot ceilings, ample natural light from 10-foot windows, overhead glass doors to create indoor/outdoor workspaces, loading docks and an energy-efficient design. Etkin Johnson owns and manages nearly 1.5 million square feet (and counting) in the CTC and 5 million square feet total in Colorado. Etkin Johnson’s tenants in the CTC include Sierra Nevada Corporation, Fresca Foods, WhiteWave Foods (part of Danone North America), and Babolat USA. Since the company’s founding in 1989, Etkin Johnson Real Estate Partners has built an extensive real estate portfolio of income-producing properties with favorable appreciation potential. In total, we have developed and acquired more than 89 high-quality properties across Colorado’s Front Range, totaling over 8.5 million square feet. Currently, our portfolio comprises office, hotel and industrial holdings, totaling approximately 5 million square feet.